Proudly providing professional dog training in Tampa and surrounding Florida areas. Is your pooch driving you nuts? We can help. We train all dogs, no matter their age, size, or breed. 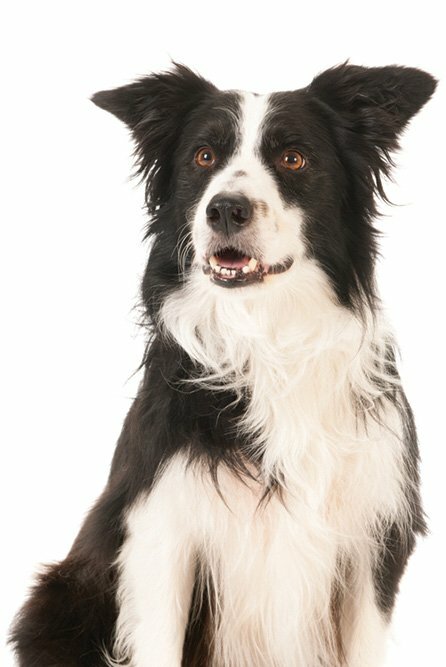 Through our free consultation, Sit Means Sit Tampa will create a custom program to fit each dog and owner’s goals. From aggression issues to puppy training…we have you covered! 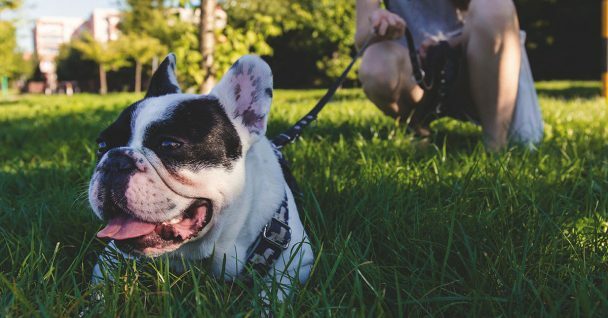 Read below to learn more about the puppy and dog obedience training programs and classes we conduct in the Tampa, FL area. If you have any questions or would like a free training evaluation, feel free to contact us today! Contact us today at (813) 505-1337 to schedule a FREE Dog Training Evaluation! 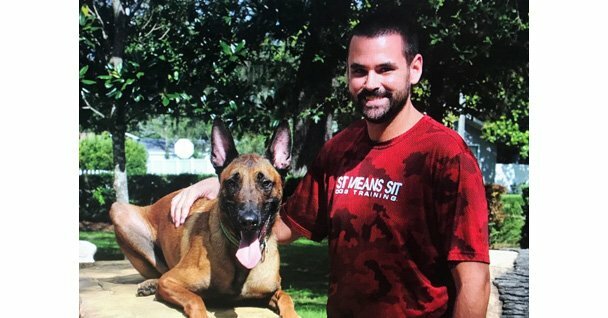 Do you want one of the best trained dogs in Tampa? Then this is the program for you! During this program, our professional dog trainers will invite your dog to be a part of their family. The program includes full off-leash obedience training and addresses all behavioral challenges. 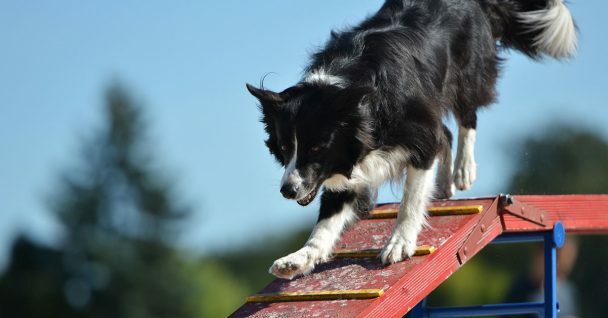 By immersing your dog into a professional dog training environment, we can provide the necessary structure and repetition to make your dog the very best that it can be. 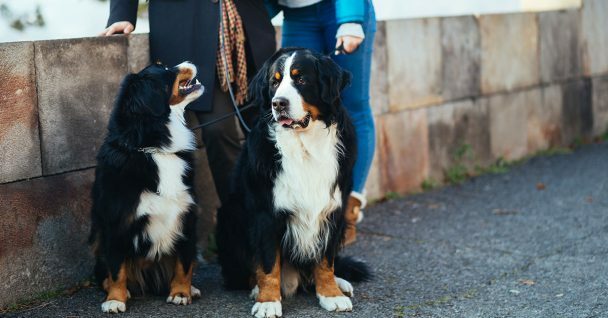 Our trainers will introduce your dog to everyday situations, including living in a home environment, visiting pet stores, veterinarian offices, and parks. 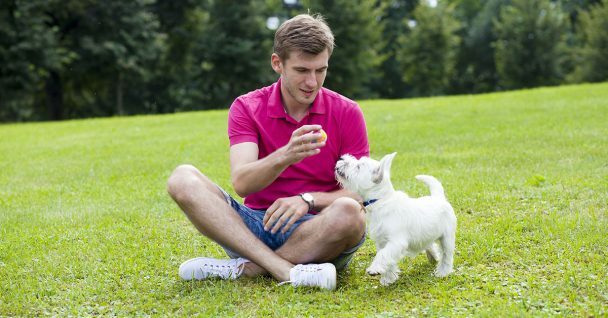 Then we will teach you how to manage your dog’s obedience training. We understand that you live a busy lifestyle. Let us do the work for you! Our private training programs provide one-on-one personal training with you and your dog, either in your home or at a nearby park. This program is fully customizable and will lay the foundation for the results that you want for your dog. Our trainers will work around your busy schedule by offering evening and weekend appointments. With the help of our professional dog trainers, private lessons will give you the tools that you need to train your dog from start to finish. Give us a call or fill out our form to get started! After participating in our Board & Train program, we offer a board and tune option. 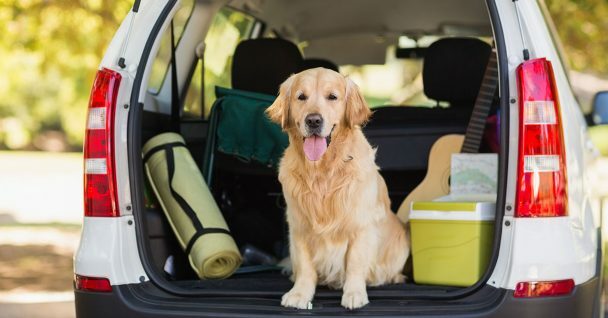 If you are heading out of town, we can board your dog and fine-tune its obedience skills while you’re gone! During its stay, your dog will enjoy all the comforts of being in a home environment and the training won’t regress, because our trainers will be working with it every day! It all begins with your FREE consultation! If you are a Veterinarian, Vet Tech, Groomer, Boarder, Doggy Day Care staff member, or any pet professional, Sit Means Sit offers an educational lunch and learn program where we will provide lunch and introduce you and your staff to our company and our proven dog training method. Who doesn’t love dog tricks? If you are interested in providing entertainment for a special event, then look no further than Sit Means Sit Tampa! Our trainers are available to provide flashy entertainment for your expo, halftime show, or festival. Interested in learning more? Contact us today! 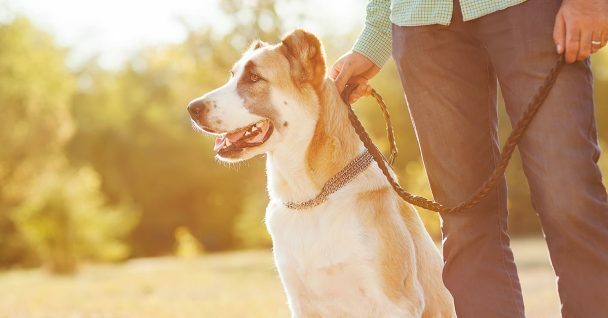 We offer seminars covering a wide variety of topics including the importance of dog training, understanding dog body language, bite prevention, traveling with your pet, or family planning. If your trade show, event, post office, homeowners association, or company is looking for more education on any of these topics or a new topic of your own, please contact us to schedule your seminar today! We service the following locations in the Tampa area(s). Don't see your location? Sit Means Sit has 125+ locations across the US and Canada. Find a Sit Means Sit Dog Trainer near you. It has been nearly 10 years since I started my career working with animals. Since then, I have had the privilege to work for and manage numerous Boarding & Daycare facilities, work as a veterinary Assistant/Technician in several animal clinics, and manage two different animal shelters. That being said, I cannot imagine a life without animals. I have fostered so many animals that I have nearly lost count, always taking on the worst behavioral and medical cases. Out of those fosters comes my 6 dogs and 4 cats who I love to pieces. Working in shelters has helped me to realize my true passion – helping the dogs that everyone says are un-fixable. That is what I love most about Sit Means Sit– we train the un-trainable. The dogs that veterinarians, trainers, and other families have given up on. I started my journey with Sit Means Sit as a client back in 2011. I worked for a veterinary clinic at the time and Sit Means Sit came to do a lunch and learn to tell us all about their program. Needless to say, I was absolutely blown away. I was having a particularly hard time with my Husky/Beagle mix, Sophia. She was very dominant and would bite any dog that would cross her path. Sit Means Sit helped Sophia, along with my other dogs, learn to ignore distractions and how to safely be off the leash anywhere. I never thought in a million years that I could have a Husky/Beagle off of the leash. Fast forward several years, I had the opportunity to join the Sit Means Sit team, first as the Boarding Manager, then as a trainer at our Cleveland-Akron location in Ohio. Now as a trainer here in Tampa, I absolutely love meeting new families and their pups and becoming part of their families. I am proud to be a part of training puppies and watching them develop into balanced and obedient dogs, as well as helping the rowdy dogs gain self-control, and building confidence in the shy and more timid dogs. Here at Sit Means Sit Tampa, we aren’t just changing dogs’ lives, we’re changing families too! 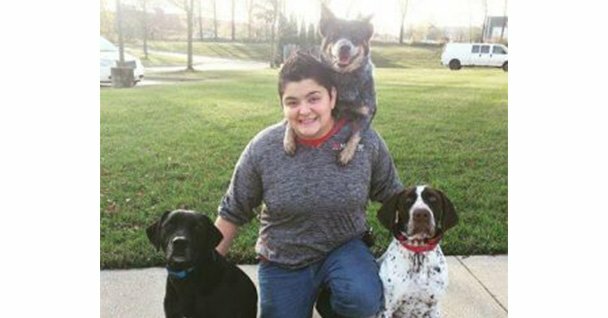 Shelby started as a full time trainer at Sit Means Sit, Metro Detroit Michigan in July of 2014, after beginning several months earlier as a client. Shelby trained both her dogs, Olliver and Kairo, with Sit Means Sit. Since she began her training career, Shelby had added two additional members to her household Remmi, a Blue Heeler and Thomas, a German Shorthair Pointer. 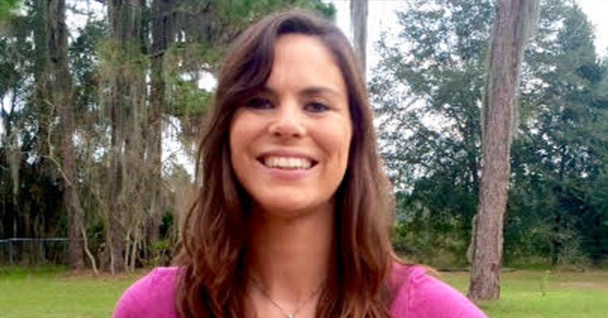 Shelby spends much of her time competing in different events with her dogs, everything from therapy work with special needs students to Dock Diving to learning the ropes of bird hunting. Shelby, Remmi, and Olliver are active members of our Sit Means Sit Go Team, certified as an advanced therapy and crisis response team. She is also an AKC Canine Good Citizen evaluator. We love customers and their dogs. Our customers and their dogs love us. See what they have to say below.